SF Cable was established in 2002, woman- and minority-owned small business SF Cable, located in the San Francisco Bay Area, offers a huge selection of over 8000 items, including cables, components, accessories and more for computer and consumer electronics, at wholesale prices with a lifetime warranty. 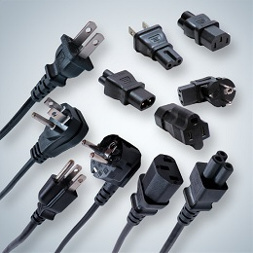 HUGE selection: over 8000 SKUs of cables, components and accessories for computer and consumer electronics. Custom solutions: SFCable.com offers custom products such as fiber optic and networking cables, and modular adapters are handled in-house, with a 2-3 days turnaround time. Furthermore, we work with a manufacturer in China that produces OEM products. Products in stock for same-day shipping: We maintain a high volume of inventory, meaning that we are able to ship most orders received by 4:30PM PST the same day! Competitive pricing: We are able to deliver high quality merchandise at nearly wholesale cost because we cut out the middleman and purchase directly from our ISO 9001-2000 registered manufacturers in large volume. Price Matching: If you find a better price for an item or one of the same description at another online store or distributor, please, let us know. We will try our best to match their price! Lifetime warranty on cables & adapters: SFCable.com offers lifetime warranties on all of our cables and non-electronic products. 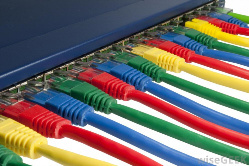 SF Cable carries a complete line of Network Cables: CAT5E, CAT6, CAT6A SF Cable carries full line of network cables. 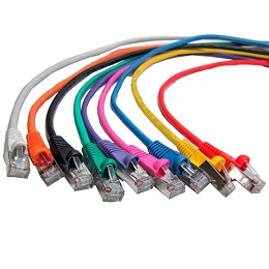 SF Cable patch cables are made of 100% pure copper wire and 50 micron gold plated RJ45 plugs. Designed For: Network Adapters, Hubs, Switches, Routers, DSL/Cable Modems, Patch Panels and other Computer Networking applications. 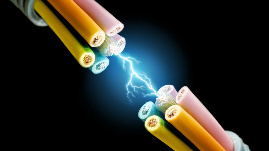 Certification: TIA/EIA T-568B standard wiring, CM Type PVC Jacket. All Network Cables are lifetime Warranty.